This luxurious pool was designed by The Concrete Pool Company in conjunction with the homeowners and the builder of the property. The brief included a high-quality family pool that could also feature an adult’s relaxation area, and the spa is the perfect space for the owners of the home to unwind after a long day. The pool’s stand-out feature is its stunning Trend glass mosaic tiles, which creates an incredible colour in the pool water and accompanies the home’s colour scheme. The heated spa flows over into the main pool that wraps around the corner of the property – creating a striking visual from any angle of the home. The Concrete Pool Company designed the pool’s surrounding landscaping, which beautifully complements both the home and the pool itself. 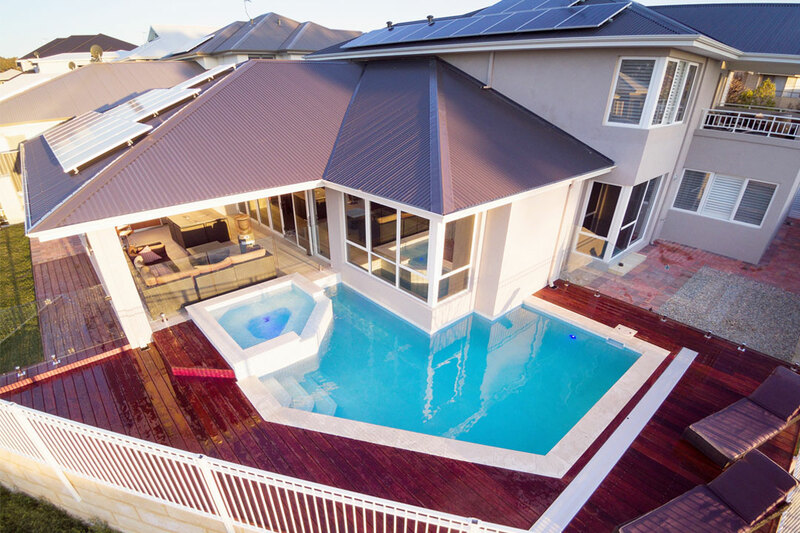 The company supplied and installed all hardwood timber decking, travertine paving and frameless glass pool fencing, which adds an incredible sense of style to the entire area. Featuring state-of-the-art technology, the pool comes complete with an WiFi Connect 10, an eQuilibrium with a PH probe and a chlorine sensor. 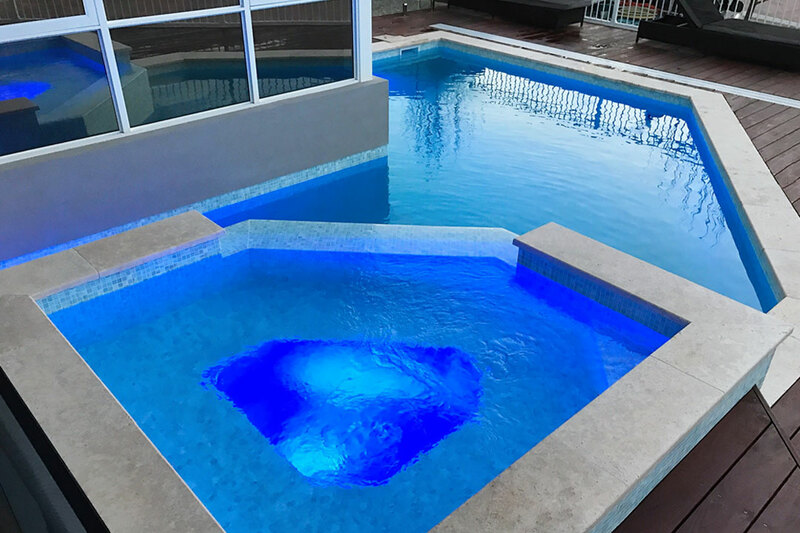 With more than 20 years’ combined experience in construction and design, The Concrete Pool Company prides itself on its individually-designed, quality concrete swimming pools. 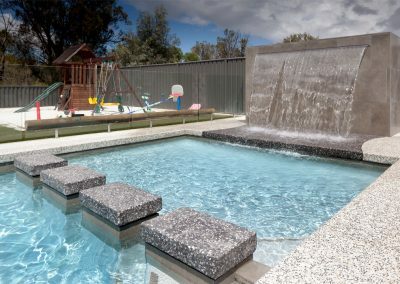 Specialising in pool designs, earthworks, plumbing, lighting, heating, sterilisation, tiling, paving, internal finishes, electrical requirements and the latest pool technology, you can guarantee that you will get the most out of your pool. 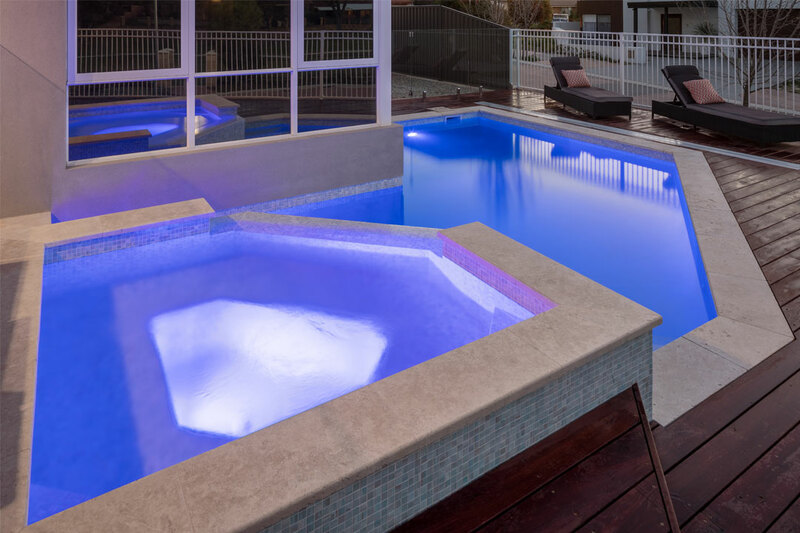 The Concrete Pool Company was recently awarded Bronze for the Pool Renovation accolade at the Swimming Pool and Spa Association of Western Australia (SPASA WA). The family-owned business understands the importance of meeting the needs of a demanding family, so you can rest easy knowing that your pool will be a fun and safe space for both children and adults to enjoy. 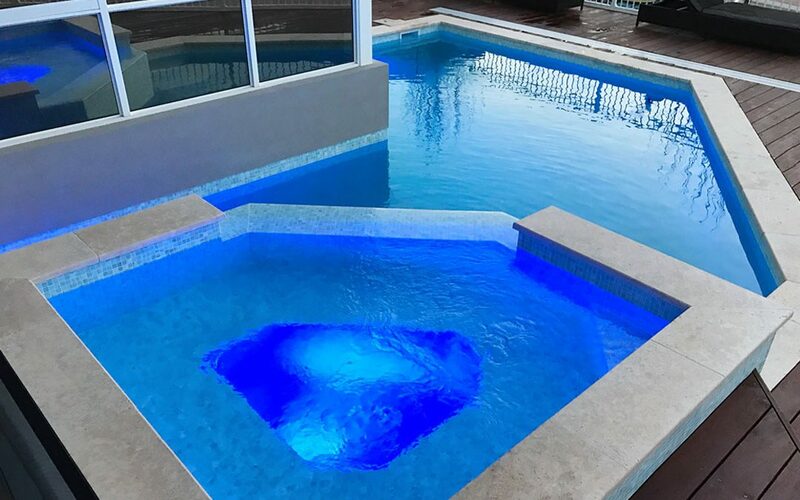 Contact the passionate team at The Concrete Pool Company today, to find out how they can assist you with bringing your dream pool design to life.